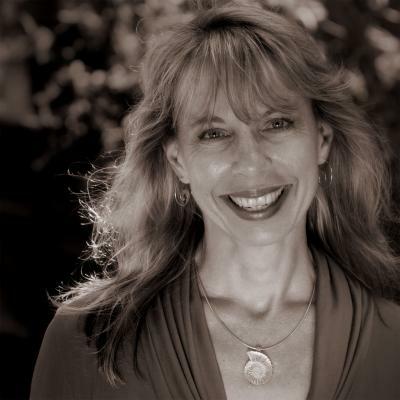 BOARD OF ADVISORS, SENIOR EXECUTIVE COACH and CURRICULUM DESIGNER -- Bonnie Paul brings over 25 years of experience working in the industry and technology sectors as well as being an executive coach, curriculum designer and consultant. She has successfully coached all levels of employees from the manufacturing line through to C-level executives. She is a specialist in curriculum design, authoring and facilitating cutting edge programs in transformational leadership and emotional intelligence. She also serves as one of the Senior Coach Supervisors at DCC. She has coached hundreds of men and women of all ages and backgrounds from a wide variety of industries, including healthcare executives, technology executives, physicians, entrepreneurs, filmmakers, entertainment executives, labor union employees and more. Her industry experience ranges from systems design as a database designer to serving as General Manager for an electronic manufacturing corporation with a 7-figure budget. In the latter capacity, she led an entrepreneurial team and developed the HR department, implementing methods for employees to feel heard while they embraced new, more efficient processes. She has led Advertising and Marketing departments and launched new products answering the needs of leading-edge customers, such as Motorola and Hewlett-Packard. Bonnie also has a deep personal commitment to educating underserved populations and she co-founded and co-directs an award-winning non-profit organization whose work was featured in a Cannes Film Festival documentary. Transformational Leadership, Emotional Intelligence, Culture Shift, Growth Mindset, Burnout Prevention, Communication Skills, Overcoming Challenges and Creating Breakthroughs, Developing Effective Teams, Career Transition & Development, Work / Life Balance, Mind-Body Approaches to Health and Healing. General Manager for an electronics manufacturing company, expertise in Information Technology, line manufacturing, new product development, entrepreneurial challenges, and non-profit management. Bachelors Degree in Computer Science, California State University at Northridge; Masters Degree in Spiritual Psychology, University of Santa Monica; Ph.D. Degree in Psychology, Saybrook University, San Francisco. Coached healthcare manufacturing team leading to a 99% reduction in delinquent orders, resulting in dramatic improvement in customer service, improved communication from managers down to line workers, and mindset shift among managers. Coached manufacturing R&D team in creating an “impossible” new product which answered the industry need for a high quality, 50% less expensive critical component in state-of-the-art supercomputers. Received Service to Humanity Award, Local Hero Award, and other awards for her non-profit service work in prisons. Co-authored emotional intelligence curriculum which assists “Lifers” in finding purpose and meaning in life, and provided the foundation for inmate culture shift in a California women’s prison. Manages a volunteer service project that routinely recruits 80+ volunteers who are rapidly trained to work in harmony with each other, while serving in medium-to-maximum security prisons among classrooms of 250+ inmates.